Ayatollah Boroujerdi has long advocated for the abolishing of "execution, and cruel, inhumane, and degrading punishments; such as torture, stoning and whipping. He rejected anti-Semitism and advocated religious freedom. He established charities and welfare centers to help the poor and assist victims of natural disasters. He condemned personal financial gain from religious activities. "He is said to have been beaten, thrown against a wall, and had cold water thrown on him when he was sleeping. He suffers from a heart condition, pulmonary issues, diabetes, severe problems with his eyes including untreated cataracts, and kidney stones. His legs are swollen which makes it very difficult for him to walk. His hands also shake as a result of his Parkinson's disease. 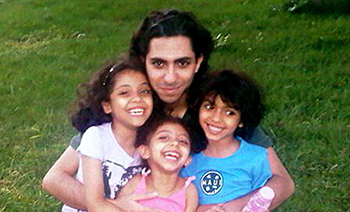 While in detention, he has not been receiving necessary medical treatment..." – Amnesty International. Ayatollah Seyed Hossein Kazemeini Boroujerdi is a high-ranking prominent dissident clergyman in Iran. He has strongly called for separation of religion and state, and he condemns Islamic radicalism, fundamentalism, and terrorism. He is opposed to political Islam and the rule of Velayet-e-Faqih (Islamic custodianship over people), the theocratic system that governs Iran. Boroujerdi has many supporters and is known as Iran's Mandela. "He has long advocated for the abolishment of execution, and cruel, inhumane, and degrading punishments; such as torture, stoning and whipping. He rejected anti-Semitism and advocated religious freedom. He established charities and welfare centers to help the poor and assist victims of natural disasters. He condemned personal financial gain from religious activities. His call has been welcomed by an increasing number of followers to the point that, until his arrest, his gatherings surpassed the theocracy's organized ceremonies, by their sheer size and numbers." For these humanitarian endeavors, he was sentenced to execution by the Islamic Republic of Iran. However, due to international pressure, in 2006, the Iranian regime changed the judgment to 11 years in Iran's most notorious prison, Evin. "He [Boroujerdi] was arrested at his home in Tehran on October 8, 2006, along with more than 300 of his followers. He and some of his followers were initially sentenced to death after an unfair trial in Branch 3 of the Special Court for the Clergy in June 2007. His sentence was commuted in August 2007 to eleven years in prison. In addition to this, Ayatollah Boroujerdi was defrocked (banned from wearing his clerical robes and thereby from practicing his clerical duties), and his house and all of his belongings were confiscated. He had reportedly been found guilty of at least 30 charges, including "waging war against God" (moharebeh); acts against national security; publicly calling political leadership by the clergy (velayat-e faqih) unlawful." "Ayatollah Boroujerdi has reportedly been tortured and otherwise ill-treated on numerous occasions since his arrest. He is said to have been beaten, thrown against a wall, and had cold water thrown on him when he was sleeping. He suffers from a heart condition, pulmonary issues, diabetes, severe problems with his eyes including untreated cataracts, and kidney stones. His legs are swollen which makes it very difficult for him to walk. His hands also shake as a result of his Parkinson's disease. While in detention, he has not been receiving necessary medical treatment and has lost a considerable amount of weight. He was reportedly attacked and beaten in prison on November 17, 2013, perhaps in retaliation for letters he wrote that have been published on various web sites." "Greetings to the respected United Nations General Assembly. I am writing you as a political prisoner from the dreaded Evin Prison. I have been imprisoned and tortured for the past eight years for simply speaking out against political Islam and the cruel crimes committed by the government of Iran against its citizens due to implementation of religious laws. I would like to bring to your attention that Iran's natural resources along with its national wealth are being spent -- as a matter of priority -- on funding Syria, Palestine, Lebanon, Yemen, Bahrain and Iraq by the authorities while Iran's own citizens are enduring widespread poverty, unprecedented unemployment along with high rates of depression and physical ailments. People in Iran have therefore lost hope." Boroujerdi's prison sentence was recently completed, but it is critical to point out that he is still nowhere near free. He is still deprived of basic needs, he is under house arrest with heavy conditions and bail has been imposed on him. 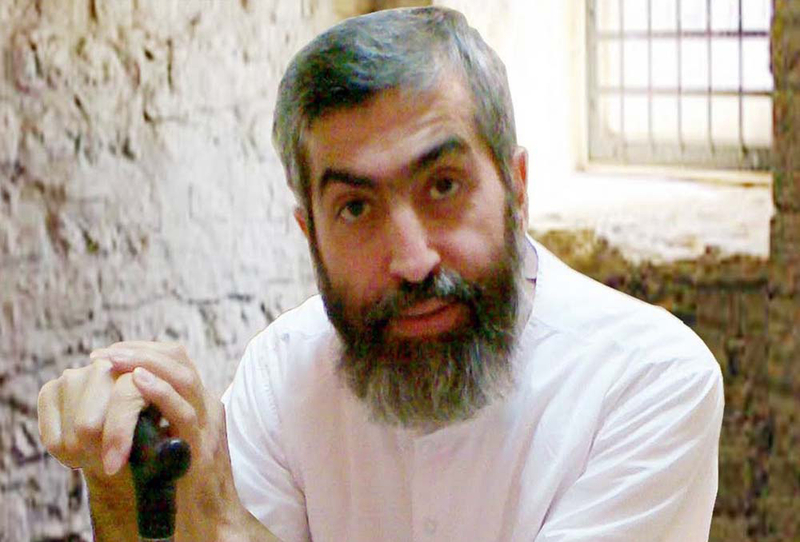 "Our teacher of monotheism, Seyed Hossein Kazemeini Boroujerdi in his new position, just like in the past, demands for fulfillment of the rights of the innocent Iranian nation. The approaches and manners which the opposition groups in exile have adopted with regards to defending the rights of our deprived people have proven to be devoid of faithfulness and sincerity in fulfilling their promises. The shady dealings and political tampering which have become common practices these days have resulted in increased injustice, unfairness, and lack of freedom. This political-ideological prisoner is crying out and protesting against prejudices and against those who by adopting inhumane policies tend to ignore his tireless efforts and self-sacrifices in fighting oppression and tyranny, and those following their own personal interests, factions and cliques in campaign against this regime." The International community, the United Nations, Human Rights Watch and Iran's opposition groups need to pressure the Islamic Republic of Iran to release Ayatollah Boroujerdi. "It shall be noted by future generations that I have made the world aware of the dire situation in Iran numerous times. Those of you, who are well aware of our desperate plight, hear our cries and remain indifferent shall be remembered for generations to come. I implore you to sympathize with our plight and understand that we are being silenced. We are asking for help once again." I sympathize with the people Iran. Hopefully the U.N. will force the humanitarian issues. I wouldn't consider it a compliment to be compared to the real Nelson Mandela. I have read the above account of this brave ayatollah and his disgraceful treatment by Iranian justice. I am not in the least surprised as I have been aware of the treatment of Iranians by the corrupt but powerful clergy. They are still stoning women to death for adultery. The woman takes the burden of punishment whilst, often, the man just gets lashed. The generation which heralded the Islamic revolution are now kicking themselves for believing that a theocracy could make them less miserable under the shah. The young are sick of Islam which is forced upon them at every turn. Young girls are arrested for daring to wear nail varnish. It is indeed a deprived system of government. Not surprisingly, Christianity is flourishing in the form of underground churches all over the country. This poor nation is hungry for spiritual sustenance and a release from the religious elite. Trump needs to punish the Iranian regime for its human rights abuses. He has been silent since he got to office. Thank you Dr. Rafizadeh and Gatestone for shedding light on the issue. Mandela's legacy is a country in ruins thanks to African National Congress the Communist Political party he supported. Unemployment and poverty in South Africa now at highest levels at any time in the past even during apartheid period. Present ANC Government is now confiscating farmers land without compensation and thanks to BEE no jobs for Whites in South Africa who are discriminated against but nothing appears in media. Sadly this is how most of Africa operates very much like on the present South African model. Allah must be a very tiny god, incapable of defending himself, if people get thrown into prison, tortured, and killed for speaking against him. This is why Christians don't torture people or throw them in jail or kill them for mocking God: We believe he is all-powerful and doesn't need us to punish others for mocking or speaking ill about him. We leave that for him to deal with; rather we love our enemies and bless them, because Christ has commanded us to do so. How cruel it is that the above gentleman is suffering such deprivation and is being held in prison for reasons that show the cruelty of that country, Iran. We have to have pity for Iranian people living under such conditions, no decent treatment, probably very poor food, little medical aid and probably a great deal of brutality. Iran is a nation that has no morals, no mercy and no friends. I appreciate the stories of Middle Eastern people who are promoting peace and freedom of religion. Especially those who never give up on their fight regardless of the pain and misery that they are subject. Thank you Gatestone for bringing these newsworthy items to the western world. Because of the attitude of many of the immigrants and the simplicity of infiltration into the systems in place (ie) health care, licensing, welfare, employment insurance as well as terrorism, We become thick-skinned to the plights of the innocent and just want to push all of them (Muslims) back into the ocean. They all become tarred with the same brush. If they (Muslims and Middle Eastern) were to police themselves to more of an extent and showed a willingness to assimilate, we would be a lot more willing to accept. Final note, I'm sick of politicians who are self-serving and will sleep with the devil for votes. They are not patriots and most of which I would never follow into battle. Even our dependence on technology is becoming an Achilles heal. Thank you again. Ayatollah Boroujerdi is one of the more intelligent and outwardly looking Muslims. More like him would be welcome in the West. At present, there are far, far too many Islamic Imams in the West who have failed to drag themselves and their beliefs out of the 7th century. The Muslims don't realise the damage done to their faith by Imams who preach supremacism and who maintain that there can only be the one true faith, Islam! These people are the ones that should be thrown out of Western countries, and their nonsense should never be tolerated at any level. There are some really intelligent Muslims who have embraced the modern world, but invariably, these Muslims are held in prisons or persecuted or even killed by some regimes that still hold their supreme views and keep enforcing the will to control all other faiths. These are the people who in reality are so unsure and paranoid about their own religion that they use fear as the way to keep their own version of Islam alive and kicking. Hopefully, more like Ayatollah Boroujerdi will come out of the woodwork and the people will listen to some sense. Ayatollah Bouroujerdi is a very brave and courageous man. He has suffered for his religious beliefs. He is a Prisoner of Conscience. His release is a matter urgency and importance. It can only probably be achieved by advocacy on his behalf at the highest level - the leaders of the western democracies themselves personally; Teresa May from the UK, President Trump of the US and the pompously titled Frederica Mogherini, European High Representative for Foreign Affairs and Security Policy. Ideally, they should all act in concert. Other leaders need not be excluded. Iran is looking to the West for further relaxation of sanctions. Such relaxation should be tied to Ayatollah Bouroujerdi's immediate release.